Is that a wallet? | Hi. Years ago a friend and I got mugged. That really sucked. Normally I carry a big fat mother of a wallet with every damn rewards card in existence but because of that “awesome” experience of a gun being pointed to my head, I dont take it with me everywhere. Every morning when I go out I ask myself “is there a chance I will get mugged today” and if I even think “hey possibly?” I leave my fat wallet behind and pick up my Tyvek wallet. And every time I use my Tyvek wallet someone asks me about it. Typically it’s a woman. And it’s usually when I’m standing in front of them buying a Fraiche or a burrito. The two things I seem to be eating alot these days. I’ve had this wallet for over 5 years and I forget that it is kind of unique. You would too. Look at it. 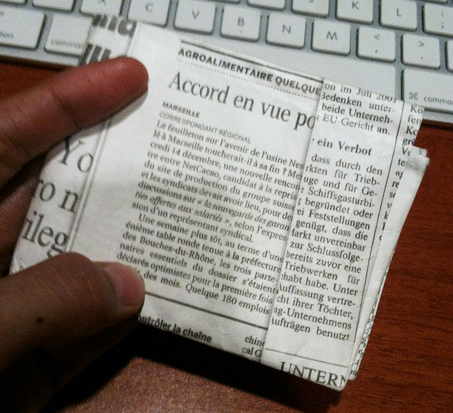 It looks like a newspaper. No big deal. But LOOK. It’s a full fledged wallet! With panels and everything. *Yes I am a Plus Member of AAA. Of course I am. I’m from LA. I don’t think guys can use this because they like to have huge leather wads in their pockets. 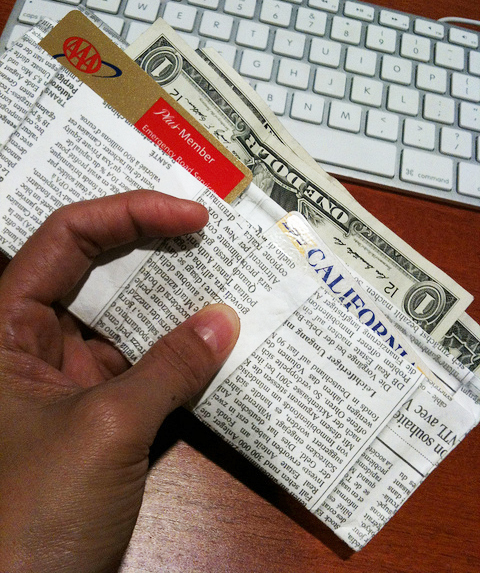 I was browsing around to see new Tyvek wallets that are out and this one stood out. Look at it. 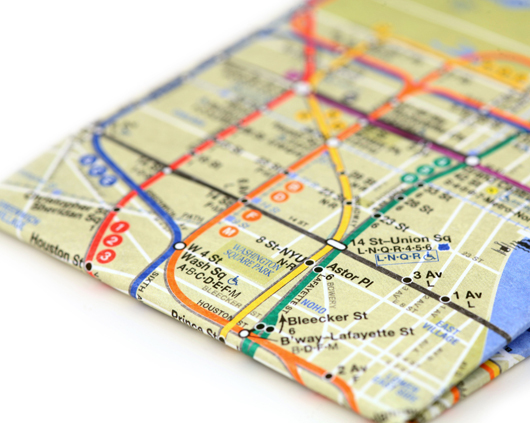 It’s a NYC subway map AND a wallet . How perfect is that? And it’s only $15. So if someone puts a gun to your head, you hand this wallet over, and all is well. You can buy another. You’re worth it. ← Shower Over Toilet? No.